In this autobiography Billy J. Kramer (born William Ashton) tells his rags to riches story, from his working class childhood in Liverpool to the racy world of international pop music. 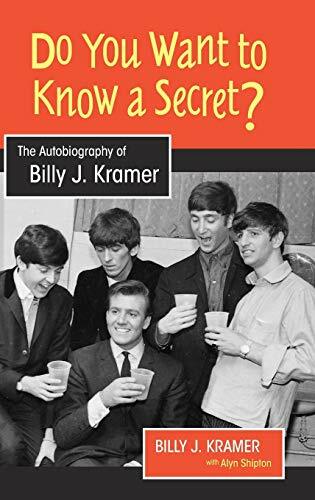 Managed by Brian Epstein, produced by George Martin, and friend, confidante and colleague of the Beatles, Kramer gives a definitive insider's account of the birth of the Liverpool sound and also the "British Invasion" of the USA. But there are dark secrets in the Kramer story. Before he reached his twenties, he was in the grip of drugs and alcohol, and there were constant tensions between him and his backing band, the Dakotas. When the screaming stopped, he reinvented himself as a cabaret performer, and some of his best records were made in the years he was out of the limelight. With a young family, drink and pills made his domestic life, and eventually his professional life, a struggle. In this no-holds-barred account, Kramer brings to life the vibrancy of the sixties. He then reveals how he exorcised his demons and forged a new career in the United States. He assembles his current band, shows a growing mastery of songwriting, and returns to national tours of Britain and the USA, keeping the flame of the Mersey sound alive. The lifetime of experience he brings to his new songs infuses every page of this enthralling read.